My Paper Crafting.com: 1600 Followers HUGE Blog Candy! 1600 Followers HUGE Blog Candy! I wanted to share a special post with all of you! Today we are celebrating a wonderful benchmark here at CookingWithCricut.com! Our 1600 follower benchmark! YAY!!!! We were so super excited to hit this benchmark, that we decided to give away some very nice blog candy! Leave a comment on THIS Blog Candy post. Be a FOLLOWER of THIS Blog CookingWithCricut.com ....Sorry no exceptions. This package contains some great stuff! Go to our PaperCraftingWorld.Blogspot.com blog and become a follower of our new sister blog. Once you have done this, please go back to the Blog candy post and leave an additional comment letting me know you are following there too. This will be your 2nd chance to win. Post about the Blog Candy On Your Blog or Facebook Page. letting me know you did this with your link. This will be your 3rd chance to win. You will be able to post your comments until April 16th! SPREAD THE WORD, FOLLOW and LEAVE YOUR COMMENTS! Thanks for a chance to win!!!! Congrats!!!!! I am now following your sister blog!!!!! What an awesome giveaway, sooo many prettys!!! YAY! 1600... that is AWESOME! I love this challenge blog too!!! I am a follower of Papercrafting World!!! Congrats on 1600 followers! Thanks for the chance to win such a great collection of blog candy! I'm already a follower! I am already a follower of your sister blog Paper Crafting World! Thanks for the second chance! Posted on my facebook page about this blog! I just shared a link to your giveaway on my FB page! I would love to share it on my blog too, but I'm in a blog hop this weekend and my hop post needs to stay on the top page. Thanks for the third chance to win! I follow your sister blog!! Hot wonderful for you and how wonderful for us!!! Thanks for the chance at such wonderful candy!! But more importantly thankyou for the time and sharing of all your talent and ideas!!! Congrats on all those followers! I already am a follower, have been for awhile. Thanks for the chance to win some awesome prizes!! Yay! I love all you have to offer. Thanks for the chance to win. I of course am a follower. I'm a new follower! Congrats on passing 1600! What wonderful blogcandy! Congrats Melin! That is one BIG accomplishment! I have been following for a long time now and I love coming and seeing your creations! I follow your sister blog too. Thanks again for the chance to win. Followed step 2 and became another follower! Great site too! I just shared a link to your giveaway on my FB page! Well that makes 3 for me!! Congrats again! I am also following your sister site :) Thanks for the chance to win such a wonderful prize pack! WOW! Congrats, Melin! But I'm not too surprised -- you are one incredibly talented lady! I'm a follower at PCW, too! I've been a long time follower, love it and congrats on reaching such an awesome goal!!! Thanks for the chance at some very yummy candy! Here's the link to the post on my blog . . . http://gator-4-life.blogspot.com/2011/04/huge-blog-candy-at-cooking-with-cricut.html and I put it up on my Facebook, too! I'm now a follower of Paper Crafting World too! Thanks! C ongratulation on reaching 1600 followers, I am a follower of this blog and your sister blog. I do not have a blog. Thanks for sharing. Congrats on your 600 followers (and many more)-thanks for the blog candy!! Congrats on this milestone...you are so very talented, and deserve it!! Wow, how fabulous! Congratulations on all of your followers. I'm a follower! Just found you last night! Congrats on your 1600+!! Nice blog candy. Love the sister blog by the way! Wow! Congrats on reaching this milestone! I am now a follower! I am also a follower of your sister blog! Awesome LO's over there!! Thanks for the chance to win the awesome blog candy!! I'm a follower already!!! Thanks for a great giveaway!!! Thanks for so many chances to win! I am a follower of both blogs and have posted the link on my FB page. I hope the link is below, I'm not too computer savvy! Well, I am already a follower here (and been enjoying it!) so easy, peasy for me to enter for your blog candy! Thanks. Went over to your sister blog, PaperCraftingWorld and added myself as a follower there for an extra chance to win. Thanks for the lead on that, looks like a wealth of information and inspiration over there too! Congrats on your 1600th follower!! I'm a new follower. thanks for the chance. I'm a new follower of your new blog now. Thanks again. Okay I have now posted a comment on my blog about your blog candy for a third chance. Thanks and Congratualtions! Following your blog and Paper crafting worlds blog!! congrats on the 1600 followers! Im already a follower. Im now following Paper Crafting World. Congratulations on the 1600 followers! I'm a new follower, I just found your site and I love it. I love all your files. Thanks for a chance to win this awesome candy. I am a follower of Paper Crafting World also. Love the layouts over there! Thanks for a chance to win!! I just posted on my blog about your Huge Blog Candy!! Thanks for the third chance to win. Wow 1600 followers! Congrats on that and I see you have even reached over 1700 now already!! Great give away! Thanks for the change to win!! Wow! What an awesome way to celebrate! I'm already a follower! and posted the blogcandy on my blog! The box of goodies look fantastic. I am already a follower and now I am going to your sister blog to become a follower there as well. Thanks for the chance to win. Congratulations. That looks like a great box of goodies. It would be great to win! Congrats!!! I wish i will win, lol. Good luck to everyone!! I blogged about your giveaway on my craft blog also. what a great giveaway!! i am already a follower!! Thanks for all the inspiration!! I've been a follower of your awesome blog. I have been following paper crafting world for a while!! thanks for the chance to win! I have been checking out your blog for a long time now and just became a follower. Love your blog. I also shared on my Facebook which I am also a fan/friend. How exciting for you, I am just so happy I found you when I did. I am a follower and would love to get my greedy little paws on this wonderful candy. Thanks for the chance. Congrat's on your 1600 followers! And what a wonderful Blog Candy gift you are sharing. I also follow Paper Crafting World. Thanks again! Wow congrats on the 1600 followers!! Great giveaway!!! Posted your blog candy on my side bar!! Thank you for a chance to win some candy. I became a follower of your sister blog!!! Wow....now that is some candy I would love to sink my teeth into! I am a follower. Congratulations on having so many followers, how awesome! I've been a follower for a little while now and love all of the wonderful projects that are posted. Wow wonderful blog candy. Just jumping over to be a follower on your sister blog. I'm now following your sister blog! I am a follower of your sister blog too! Thanks for the chance love your work. Im a follower and Im headed over to your sister blog to make sure Im a follower there also. Congrats on reaching this benchmark. your successful blog. I love it! Would love to win this. thanks for the chance to win. Oh, wow! What great candy! And I won't even gain one pound! Congratulations on all the followers. This is great blogcandy. Thanks for the chance to win these goodies. 1600 followers is amazing! what a fabulous give away!!! I am now a follower of PapercraftingWorld also. Thanks for a second chance. Congrats on 1600 followers!! That is awesome!! Thanks for offering the fabulous blog candy!! I'm a follower, thanks so much for the chance to win!! WOW 1600 followers is AMAZING!!! I love the blog candy!! I am going to go check out PapercraftingWorld and become a follower there!! Thanks for the chane to win! I hope you get 1600 more followers!!! PS awesome page!! I'm also a follower of Paper Crafting World blog, Thanks so much for the 2nd chance to win!!! Very nice site. Enjoy everything. Posted on my facebook wall, thanks so much for the 3rd chance to win!! WOW-thanks so much for such a generous giveaway--I have been a follower of this blog for quite sometime and have now become a follower of Paper Crafting World blog. I'm a follower, thanks for a chance to win. Just became a follower of Papercrafting World Blog. What a great blog! You are too generous! WOO HOO! Congrats!!!! Thanks for a chance to win! I followed the other blog :) Great blog by the way! ok I am a follower of both pages and i have shared this on my facebook page!!! This will be an amazing box for someone to recieve!! I am a follower and LOVE all your projects. I am very inspired by your work. I would LOVE to win the blog candy, but will continue to follow and subscribe to your blog. Thanks for your time and talent. thanks again for all the generosity! Been a follower for quite awhile now. Thanks for the opportunity for some candy!! I am also a follower of your sister blog! Awesome give away :) Of course I am a follower already :) Congrats on the 1600 mark!! I have put a link with picture to you on my sidebar. Wow... that is a HUGE accomplishment! Congrats! I love your blog and try to enter your challenges as much as I can. 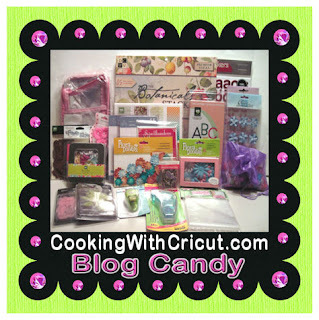 Thanks for the chance to win some YUMMY YUMMY blog candy!! Of course I am already a follower... love this blog!! Congratulations!! I absolutely love your blog!! Am a follower, and also like you on Facebook. I am also a follower of your sister blog and get their newsletter. Wow Lots of yummy candy. Thanks for a chance to win. I am a follower. I think I want that large pad of paper! One can NEVER have too much paper, right? Happy count day. I already follow Paper Crafting World. Thanks for another chance. Posted to my sidebar on my blog. Thanks again. I am now a follower of PaperCrafting World! I am on my way to take a look around! Thanks again for the chance to win this awesome blog candy! Thanks for the chance to win this great blog candy package! I'm a follower! Congrats I posted about this on my Facebook!! Congratulations on your 1600 followers. I am a follower and I enjoy your blog. Thank you so much for sharing and for the wonderful giveaway! I love your blog as well as your sister blog. You inspire many of my cards and layouts. Please continue your great work. And now I'm a follower on your sister blog and appreciate the extra chance to enter! Thanks. I have became a follower and signed up for the newsletter on PaperCraftingWorld.blogspot. Following now - I came here from the Silhouette group! Hi - I'm a new follower. I am so excited to see all the projects and will be looking at the tutorials so I can get new ideas. Congratulations! What a great accomplishment. Thanks for sharing it with all of us! I became a new follower of your sister blog! Looks like it has some great posts - I can't wait to go back & "did in" some more. I became a follower on the Papercrafting World Blog too !! I'm a new follower on both blogs. I really love your designs and am looking forward to trying some of them out. Have a great day. I'm a follower and thanks for the chance to win :). I'm also following the sister blog. Your blog looks so inspiring! I am now a follower. Here's my comment! :) Thank you! Congrats & Thanks! I have a blogcandy sweet tooth! This is so exciting and I am a follower. Thank you for the chance to win such an amazing prize package. I'm now a follower of your sister blog. Yipee, two awesome blogs to follow. Thank you. I have now put a link on my facebook profile. 3 chances to win! Whooo hoooo! I am also following your sister site! Thanks! I am a follower congrats on your milestone. Great big product giveaway for being a follower over there you have to check it out. Thanks for posting this on the Make the Cut group! I am new to your blog and am now a follower too! I have been a follower for a while now with no regrets, love your blog!!! Oh, Congrats on your followers too, I am now a follower of Papercraftingworld!! I have posted your giveaway on my Facebook page!! !